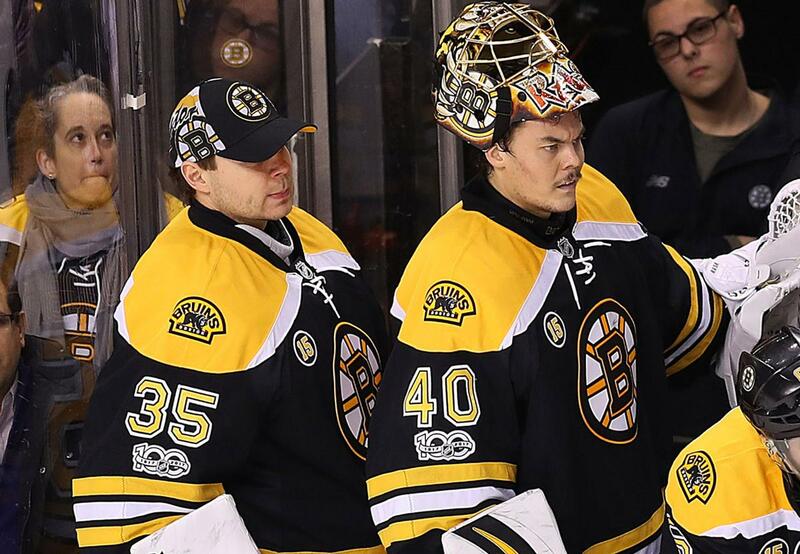 Hey, We’re the Boston Bruins – Remember Us? As a lifelong Boston Bruins fan, I, admittedly, have not paid as much attention to the team as I have in the past. I am sure that I am not the only one with this feeling, though, as the Bruins have taken a backseat to the Patriots (as they always do this time of year in New England) and the exciting Celtics. At this point in time, the Bruins and Red Sox are probably on the same level in terms of excitement in the city of Boston, but that, of course, is subjective. There was a time when the Bruins were all the rage in the city of Boston, but they have only made the playoffs once in the last couple of years and have not exactly been the most “fun” team to watch. This year, the team has been a mixed bag of inconsistency with numerous players going on IR throughout the early part of the season. The Bruins are coming off an absolute beatdown of the Columbus Blue Jackets at home on Monday night and a 3-0 shutout victory over the Buffalo Sabres on Tuesday night. The Bruins currently stand at 17-10-5 but have gone 11-3-1 in their last fifteen games, indicating that they are finding a groove as we approach the New Year. For those who want the quick synopsis of the Bruins season, it can be summed up in two quick bullet points. The first point is that Tuukka Rask played like crap at the beginning of the year and Anton Khudobin filled in nicely by going 4-0-1 with a .938 SV% and 1.96 GAA. The second point is that the Bruins have had key players injured at various points during the season and haven’t had their ideal lines playing together for more than a game or two. Those are just the quick bullet points, however, there is much more we can dive into. I won’t pretend to be a hockey whiz and sit here and try to break down the team’s defensive zones and how they can beat the 1-3-1 and all that nonsense. If you want to learn more about hockey, watch it and maybe play some NHL 18. In Coach Bruce Cassidy’s first full season with the Bruins, the team certainly seems to be skating faster than in the Claude Julien era. Not only that, but the team’s approach feels more balanced as opposed to the defensive-minded approach they had in the past. The combination of the Bruins’ young players and the seasoned-veterans has created strong chemistry with both the forwards and the defensemen. Normally, Krejci would be slotted on the second line, but the lines Cassidy has been rolling with have been hot as of late. Statistically, the Bruins rank a bottom-half 20th in the league in goals scored with 95, but actually have only given up 2.69 goals/game, putting them at 5th in the league in that statistical category. Special teams wise, they rank 10th in power play percentage at 20.6% and 8th in penalty-kill percentage at 83.2%. In the month of December, the Bruins have turned things up a notch as they have scored 35 goals (4th in the league) and have only given up 19 goals (6th in the league). The team has also scored eight of their 35 December goals on the power play in only nine games (25% on the power play; ranks 7th) and have performed relatively the same compared to their season average on the penalty-kill (83.3%). Both power play units have provided much-needed firepower from this team as the young guns of Jake Debrusk, Danton Heinen, David Pastrnak, and Charlie McAvoy have been big contributors as of late. Combine these players with Brad Marchand, Patrice Bergeron, and David Krejci and you have yourself speed, reliability, and smart-decision makers. I had a chance to watch the Bruins play live against the Columbus Blue Jackets on Monday night and the Bruins ran them out of the building by a final score of 7-2 (albeit some of the Bruins’ goals came in the last few minutes of the game). They looked dominant in almost every phase of the game from their power play to their goaltending to their breakouts and their fighting (I’m looking at you, McAvoy). The Bruins have always been known to be a hard-hitting, physical team, but one thing that has stood out to me this year (and last year when Cassidy took over) is how much better they have gotten at controlling the puck and passing. The Bruins have developed into a team with fluid passing (for the most part) from all parts of the ice, which has allowed them to have better breakouts, better powerplays, create more offensive zone pressure, and overall better play. Time and time again, the Bruins were burnt in the past by faster and quicker teams such as the Montreal Canadiens because those teams used their speed to skate circles around the B’s. With this new speed, one would think the Bruins have abandoned their physicality. This statement is not entirely true as the team sometimes imposes their will on teams, just not as frequently as the team did from 2010-2013. They have not turned into a finesse team where they have become a soft, skill team. It is hard to deny, though, that the new-look Bruins are playing with less brute force and more skill than in previous years. This team has become fun to watch this past month and this can be attributed to not only winning, but also playing with a fun and exciting brand of hockey that can easily grab your attention. If you want to check out how the Bruins have played in the last month, you need to look at the highlights from their 7-2 thrashing of the Blue Jackets on Monday night. I cannot say for certain if the 2017-18 Bruins team is going to be good going up against tough competition. They have been able to beat teams that they should have beat and also had some quality wins over teams such as the Golden Knights, Kings, and Lightning who are all top teams in the league. They are still having trouble with teams that they would likely face in the playoffs such as the Capitals and Rangers, but once fully healthy, I think this Bruins team can compete with some of the top teams in the Eastern and Western Conferences (hot take alert!). As I mentioned at the beginning of this article, the Bruins are probably the least talked about team in the New England area right now given that the Patriots are always on top, the Red Sox are going through an interesting offseason, and the Celtics have a ton of young and talented players that most people can get behind. Once the Patriots’ season is over (hopefully with another Lombardi trophy coming to Patriot Place), people will tune in more to the Sox, Celtics, and Bruins. I think people will be surprised at how good this team will be doing come February/March. If we’re being honest, I think the Bruins, at this point in time, are still just a one-and-done playoff team. If their core players stay intact and they can hit on their draft picks from the last few years, they have the potential to be a great team in the next couple of years. For now, let’s enjoy the ride and hope others start to realize this group of guys are also fun and exciting to watch.